a sixth grade teacher's journey. come and learn with me. As of late, I have been reveling in the sheer awesomeness of Twitter and its capability of connecting me not only to other brilliant, generous educators, but also to learning opportunities in which I can take part to fulfill my promise of being a learner first. So far this summer, I have been more invested in my own learning than I ever have been before (as a teacher.) In my first few years of teaching, summers were a time for me to finally take a giant, deep breath and gear up for my next year, or move my classroom to another space on our campus, or try to set up and decorate that classroom while pregnant in the 100° weather with no air conditioning. This summer, I am equally as occupied. I have a 7-month-old son and I am also moving from 4th grade self-contained to 6th and 7th grade LA. Still, I’m feeling more motivated to take time for myself as a learner, while also juggling my other responsibilities and planning for a new grade level and subject area. Twitter has been my one-stop shop for these learning opportunities. And I marvel in the way I have been able to stumble across some of them. An intricate and seemingly random series of follows, follow-backs, retweets, etc. led me to someone who mentioned the Teachers Write! summer writing “camp.” I can’t even remember how I first found it or who I saw mention it first. But, after following the link in the tweet, I was intrigued and I signed up in a matter of minutes. Teachers Write! is run by some really great authors and writing teachers–Kate Messner, Gae Polisner, Jo Knowles, and Jen Vincent, along with a host of other guest authors/teachers. There are daily lessons, challenges, quick-writes, and Q&A sessions all geared toward getting us teachers to walk the writing walk. My contributions to this program can be found at my dedicated Teachers Write! blog: Write for Your Life. 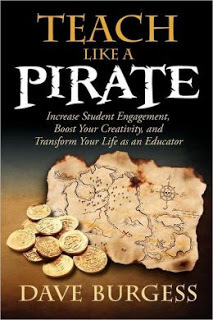 I came across this treasure because my Twitter feed was filled with the TLAP hashtag (#tlap) and teachers singing this book’s praises. I just had to check it out for myself. I suggest you do the same. Luckily, the book already has a well-established hashtag and chat, which I of course jumped in on right away. What’s more is that a summer book-study chat has been created for teachers to come together and discuss the strategies and ideas put forth by Dave Burgess in TLAP and how they can come alive in the classroom. Two chats have already taken place, but a few more are scheduled for the rest of the summer. Follow #tlap to find out when! Speaking of tweet chats…these hour-long meet-ups (along with my Twitter feed in general) are my main source of daily, constant DIY PD. So many have already said why wait for school/district scheduled or imposed PD when there is so much out there for us to take advantage of and do ourselves? Hashtag chats are super-charged professional development without feeling like what we’ve come to know as PD. No groans, sighs, or eye rolls here. I set reminders on my calendar and excitedly anticipate these chats. Illustrating the power of Twitter are impromptu chats that seem to pop up out of nowhere and then gain a cult-like following as well as what I like to call “spin-off” chats that stem from others that are already established. For example, though #tlap already exists, teachers have created or are in the process of setting up #tlapmath, #ELAtlap, etc. The learning and collaboration going on is organic and positive and supportive in nature. I’ll never regret setting up my Twitter account for this purpose and I am glad that I’ve learned how to leverage it for my own learning. Check out @cybraryman ‘s page on Twitter chats for information on how to participate or run your own and for a comprehensive list of chats and when they meet. Though I’ve taken away numerous ideas for lesson plans, projects, classroom management, student engagement, etc., the most important thing my PLN has taught me is that collaboration is key. Learning in a vacuum isn’t really going to do you any good. It’s the shared struggle and conversation and problem-solving that leads us toward deeper learning and propels us toward being better learners and teachers. That is why I find value in the collaborative PD I take advantage of by way of my Twitter PLN. This entry was posted in Uncategorized by stephpbader. Bookmark the permalink. Stephanie, I never thought of Twitter as a PD source, but as you’ve described above, I already use it that way. Love how you wrote that, “Learning in a vacuum isn’t really going to do you any good. It’s the shared struggle and conversation and problem-solving that leads us toward deeper learning and propels us toward being better learners and teachers.” It sounds very aligned with the constructivist approach, which I support. Thank you for reading and for your comment! It truly is my professional development place. I learn more on Twitter in a week than I have in all of the PD sessions I’ve attended that have been foisted on me. How can I find you on Twitter? I am @stephpbader.